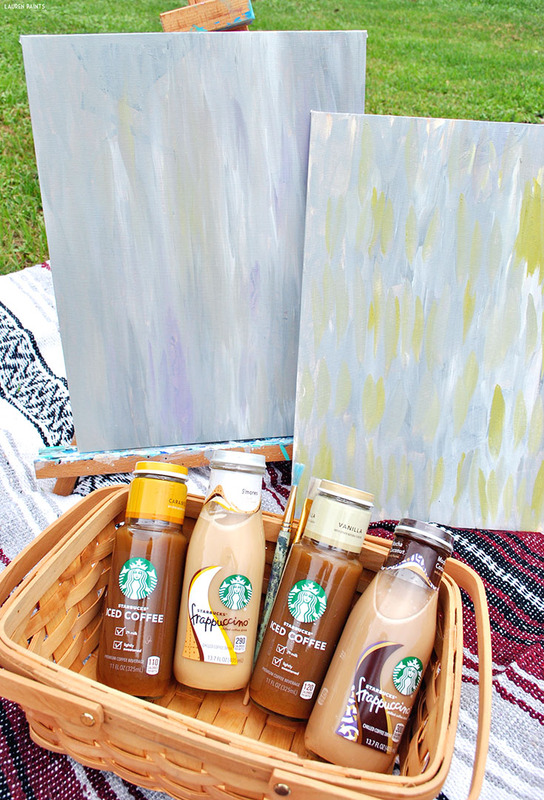 A Simple Date Night at Home: A Starbucks Picnic & A Paired Painting! A Big thanks to Starbucks for sending over a box full of goodies to help make this post possible. With school back in session, my blog and all kinds of fun projects in full swing, and my hubby working full time, things have been super busy lately and that means we've been neglecting date night. Since we haven't had the chance to spoil each other with a night out on the town recently, I decided to spoil hubby with my most recent package from Starbucks and a little impromptu date day inspired by the contents. 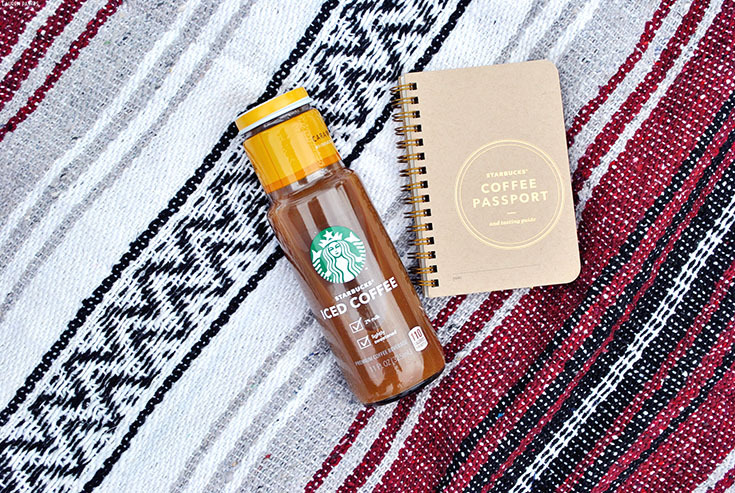 You may remember me talking about becoming a Starbucks blogger a few months back and I was blessed enough to receive another awesome package full of goodies to share with you. 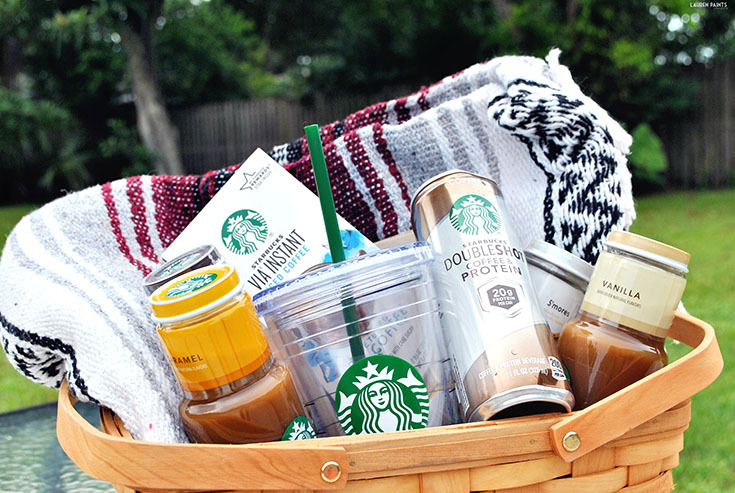 This time my box included some of my favorite Starbucks items, frappuccino, espresso, coffee to-go; all of the essentials for a busy gal, as well as a picnic basket and a blanket perfect for picnicking. 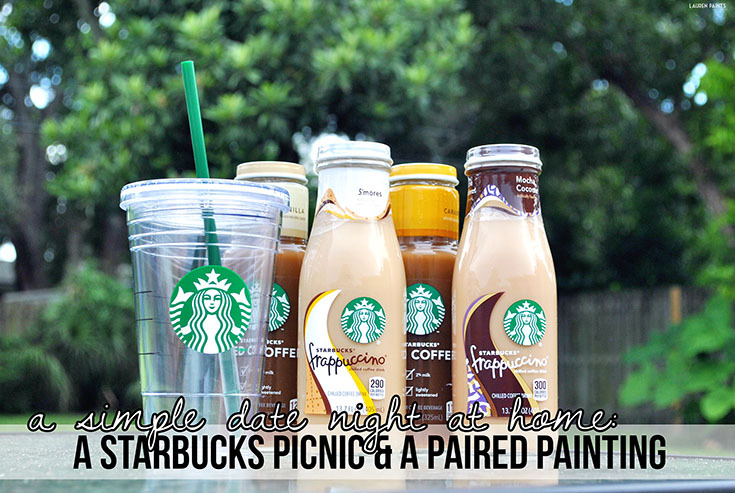 It's like the people over at Starbucks knew we needed a date and sent it to us in a box. 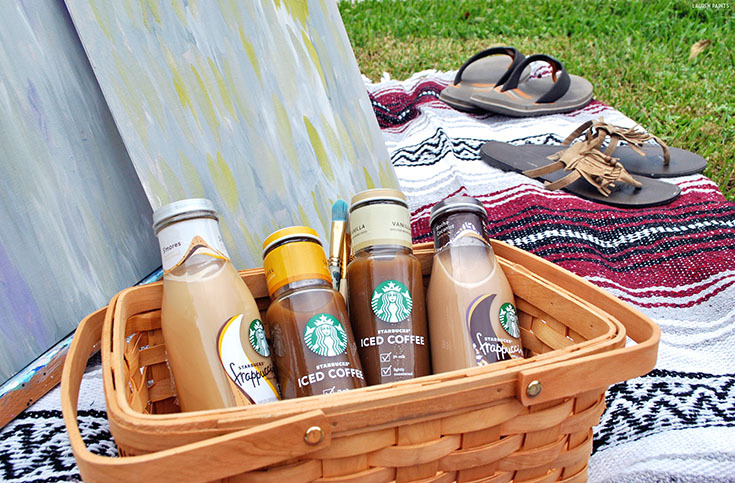 So I gathered our little picnic basket and all of our coffee together. 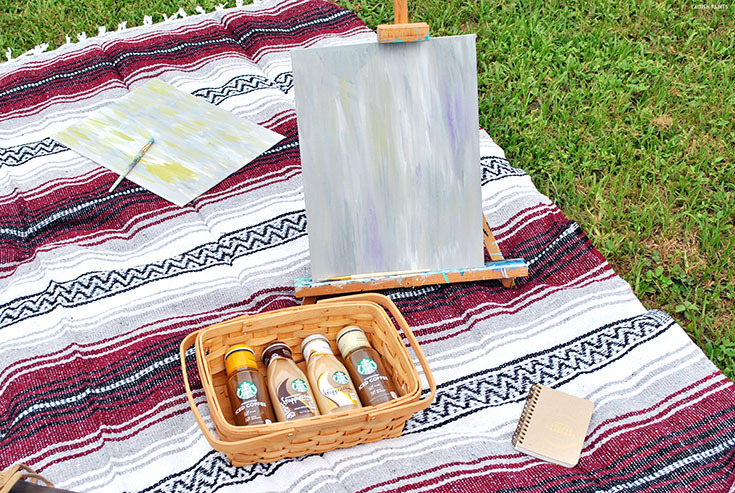 I also grabbed my painting supplies and a few canvas' to paint on and lugged it all out in the backyard. I told hubby to take a break from studying for a few minutes; he needed some fresh air, so I decided to be a "good influence" and asked him to take a second to calm his mind while he drank some java and painted with me. A few hours later, we were finished painting the background for my upcoming creation, we just simply blended a few neutral-ish colors together and did short brush strokes. 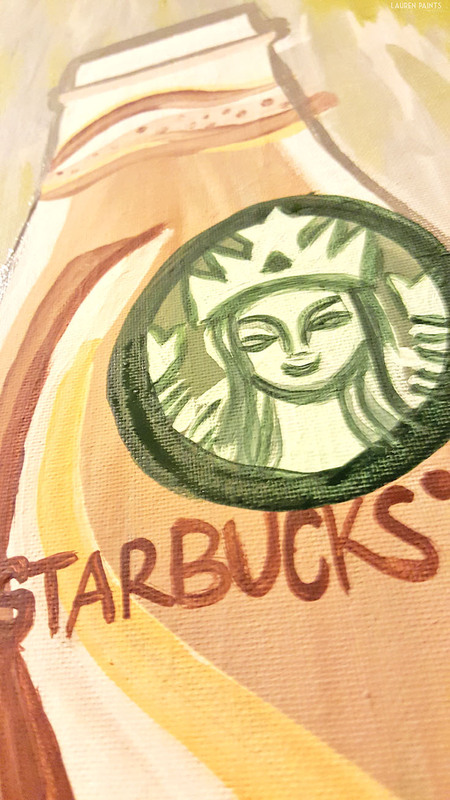 When it came time to painting a subject on the canvas, I knew I wanted to make a painting that depicts one of my favorite things in the world, other than my family - Starbucks s'mores frappuccino! Who doesn't love the little green mermaid and her magical frappuccinos though? If you love her as much as I do, then this painting is perfect for your home... I'm debating between hanging my painting in my kitchen or office, which do you think? 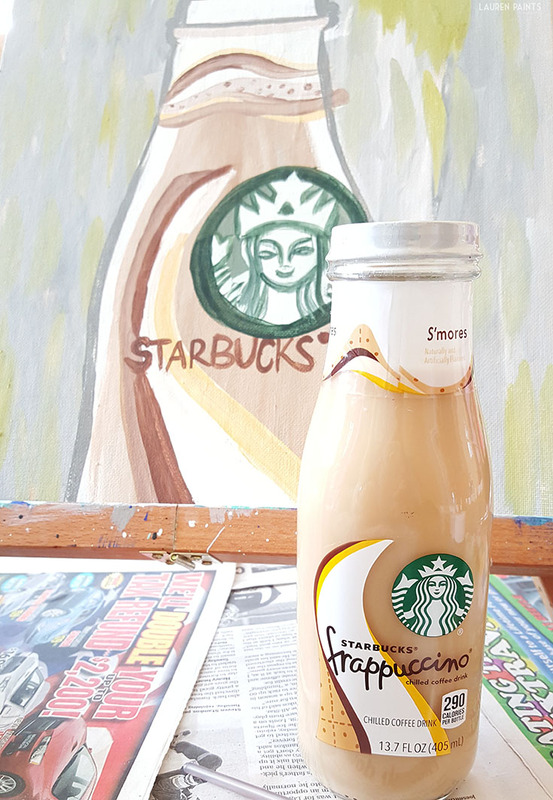 Regardless of whether you love my art and decide to make your own, you'll want to grab a frappuccino, an iced coffee, or maybe one or two of each! Which flavor is your favorite? I think I'd go with a s'mores frappuccino or maybe the caramel iced coffee... it's a hard choice to make every time I'm grabbing for my caffeine fix!